Remember Yogi from TVF Pitchers? One of those four friends who quit their jobs to develop their own start-up? Yes, that’s him. Yogendra Kumar Pandey, a.k.a Yogi, is none other than Qtiyapa Guy himself – Arunabh Kumar, an alumnus of IIT Kharagpur who went on to start a popular online entertainment network, The Viral Fever. 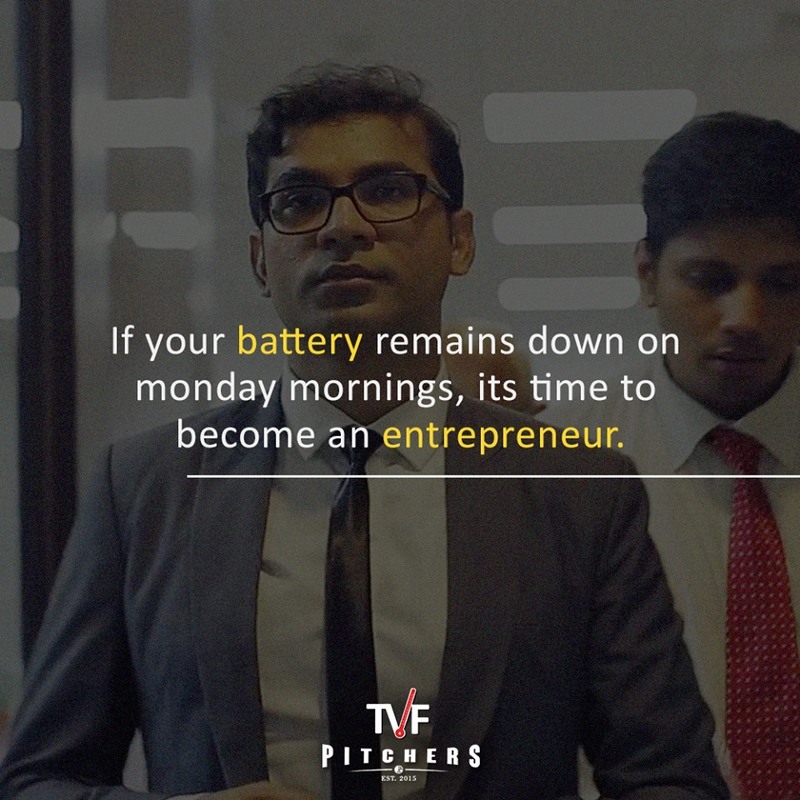 Acting in TVF Pitchers as brilliantly as co-writing the series, Arunabh, Founder and Creative Experiment Officer of The Viral Fever Media Labs, has created a new favourite hangout for young Indians on the internet. The Better India got a chance to talk to the brains behind the entertaining channel – about his struggles, about growing up in Bihar, and a lot more. Here is an excerpt from the audio interview. TBI: How was it growing up in Muzaffarpur? Arunabh: It is a small town with barely any electricity and lots of mosquitoes. The thing was that my parents really wanted us – all three brothers – to receive a proper education and I think they tried really hard to get us out of that town. That’s how, after sixth standard, I changed at least 7-8 schools and then landed in Jaipur Vidyashram. After that I went to Kota to prepare for IIT JEE. I think the whole small town upbringing sort of helped me see the other side of India, which normally we don’t get to see. That was really interesting. Today also, every year I go there, once or twice in a year. Of course, growing up in a small town in Bihar really impacted me a lot, and shaped me into the person that I am today. TBI: As we speak today, you are known as the person who is one of the most creative minds in the digital space. What creative pursuits did you make during your schooling days? Arunabh: If you really look at the kind of upbringing I had, I was pretty much a typical middle class boy who was told, “ki accha agar kuch banna hai to tum sirf engineer ban sakte ho.” That was the only thing. Frankly speaking, I don’t think there was an idea of doing anything other than engineering for a long time. TBI: So, you have lived the IIT dream basically? Arunabh: Yes, yes…mostly the plan was to become a good engineer, get a job and have a great life. In fact, in my family, everyone hates television. That’s the kind of upbringing that I have had. TBI: So you didn’t grow up watching any shows that may have inspired you or something like that? 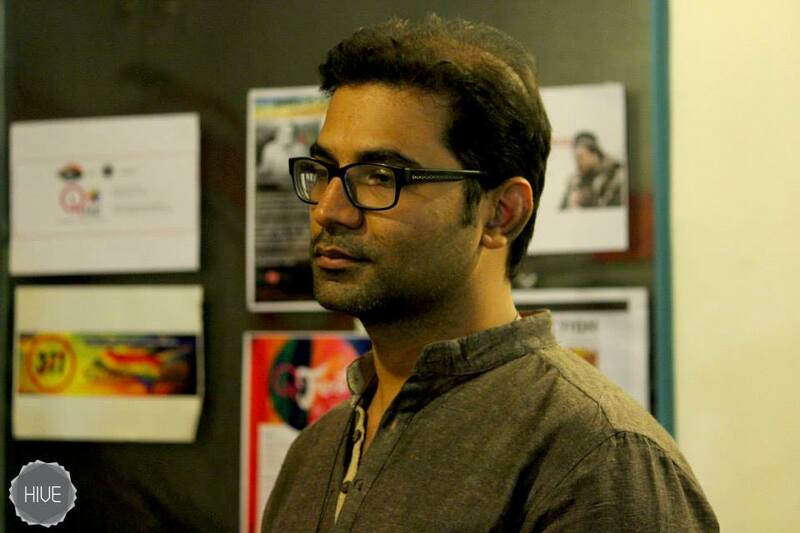 Arunabh: I used to see the Doordarshan television shows. There were those shows that used to come on DD, likeMulla Nasruddin, Mungerilal ke Haseen Sapne, etc. I used to watch that kind of stuff. I think that there were some great shows that used to come on Indian television, but somewhere down the line, it all got lost. Those shows did not really inspire me, but that’s the kind of memory I have, that you know, these are the kind of shows that I really like. The assumption of TV is something I really enjoyed for a long time. But then the whole idea of IIT and being an engineer happened. And when that happens, you cannot do much. TBI: After IIT, you went straight to working in the US Air Force. How did that happen? What was the journey like? TBI: And from there you went straight to Shah Rukh Khan’s Red Chillies Entertainment. That’s a significant switch – what made you do that? Arunabh: So once I realised that I really don’t want to do this thing, then I quit my job and started looking for something else. And in India, if you have to do something related to creativity, the only thing that comes to mind is nothing else but movies. And that is where I started seeking a job, and somehow landed up in Red Chillies. TBI: And what was your role like? Arunabh: In Red Chillies, I was nothing but an assistant director. That is what everybody starts with. Your role involves doing the running around, and pretty much everything…behaving like a spot boy, and doing everything from taking print outs and helping in everything. And that’s what you start doing. TBI: How did it feel when your proposal – ‘Engineer’s Diary’, was rejected by MTV? Were you thinking online at that time? Arunabh: No, no…not at all. In fact, this online and offline thing is very new. The idea then was only to make great content. “Ye sab bohot semantics hai.” Before cable TV, people used to make shows, right? Then they started thinking cable. But these are nothing but technologies that facilitate your consumption. I was trying to make great content. And for that, I realised, that I need to make it. TBI: Then how did you feel when the rejection came to you? Was it something that took a while for you to recover from? Arunabh: Now again, this is something that people don’t know. TVF didn’t really start from this rejection. TVF Media Labs was a company that I started for branded content production, and it was pretty established much before. It was started in 2010-11. Then, only when I had enough money to support myself, I thought of making my own TV show. So it’s a misconception that I started TVF because the show got rejected. I had TVF and I had enough money. In fact, TVF is not really a YouTube network, it’s a mother ship which I started. And after one and half years when I had enough money, that is when we intended to make some TV shows, which got rejected. And then I thought that maybe I should try and make my own show online. That’s how TVF online network came into existence. So what you know of is not really TVF, it is TVF online network entertainment. So when you say TVF, it is the mother ship, it’s the parent company, which had already established and had good business. So, I think the whole idea of starting TVF online – that happened after the rejection. I realised that if I have to do this, I can use technology, I am an engineer. And I can use that sort of expertise to do something. That’s when I thought that okay let’s try and make something called online television for the youth. I thought that India has never really had a good television show, so can I try and actually make one using internet and technology. TBI: What are some of the movies that might have inspired you? 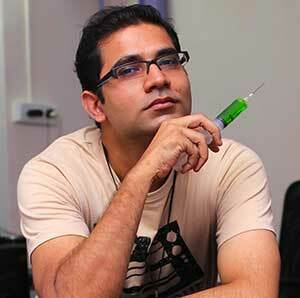 Arunabh: The whole idea of inspiration was, can we make stories that I will want to watch. So saas bahu is something that is not relatable to the Indian youth, right? It is not even relatable to saas bahus maybe. So that’s the thing. And the whole idea was, can we at least try making something which is very new, which is me, which is contemporary. So the intention and ambition to build a youth entertainment network was there since 2011, and the idea was that we will do all kinds of original programming. The whole thinking that it started because of YouTube and this and that is not really right. You don’t call Colors a Tata Sky channel, right? You call it a channel. So that’s how TVF videos or TVF online network use internet, use technology, use YouTube, use new medium to try and build that youth destination. And today we are actually bigger than MTV or Bindaas channel. I really like Khosla ka Ghosla, Shawshank Redemption, Fight Club and It’s a Wonderful Life – these are the kind of movies that really inspired me about the world of storytelling. I also remember watching Lagaan and thinking that this is such an amazing piece of work. All those things did inspire me. And I thought okay, great work can be done, and people will want to watch things, and we can try and make new stuff. TBI: They say that behind every man’s success, are five books that he must have read. Is that true for you? Arunabh: Not really. I won’t deride books, I definitely think that books are very important, but I think for me, a little bit of experience, and spending enough time in this industry is what really taught me that I should try and do new things. “Because koi aur kar nahi raha hai. Agar hum khud karenge to budhe ho jayenge.” So we are trying to do it ourselves. And I thought that can we actually try and build, and literally be a pioneer, and from that we have created a series which has gone on to become the 20th series in the world. We have actually completely disrupted the space. And that is something that has literally happened over five years, and over the kind of experiences…not really from a book, I will say. 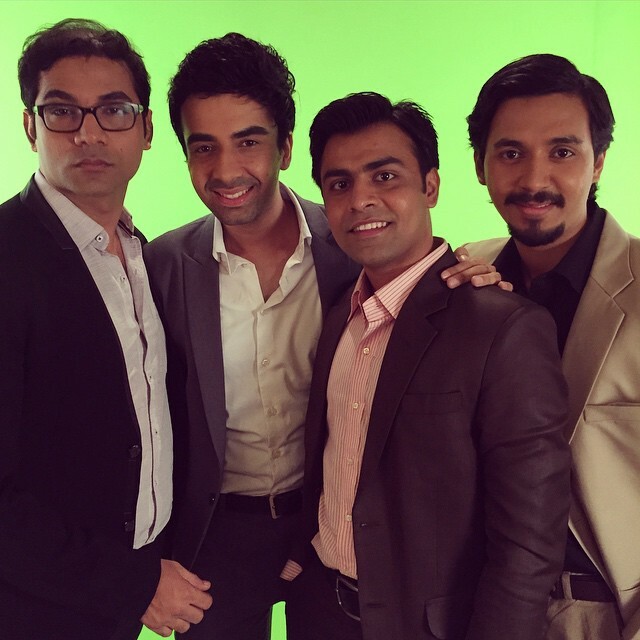 TBI: TVF Pitchers has become a huge success. Any initial challenges that you’d like to talk about and how you overcame them? Arunabh: When you are a one person company, and literally trying to survive, and you are really trying to make ends meet, I think that is there…but the whole idea was that I was pretty process-oriented. So I really enjoyed every day of it. It was easy to navigate through, but yes, I mean to somehow figure out, I really didn’t have a network, or a connection, or a contact. I am really trying to build everything on my own, never really had even a mentor. So those are the things that are challenging. But I consider not having a mentor the best and the worst thing in my life. It really compelled me to do things my own way. That is something which came out in a very interesting manner. I had nobody to guide, and when you are doing something which is so new, and first there is no clear reference, then it really becomes very very tricky for you. But then, trying to do something that is so radically new has its own joys, but it also gets very challenging. TBI: Finally, what would you like to say to the budding entrepreneurs out there? Arunabh: I think the one particular advice which I actually think matters a lot to me personally, is the fact that you should do things that you actually want to do. I mean entrepreneurs should choose things that they want to do, because of the process they enjoy, rather than the result that they want. That is the only piece of advice I have. That if you like doing you day job, waking up every day and doing it, then you can be successful to some extent, if not greatly successful, at your job. I think you should always do that. On Saturday, December 12, TVF is launching the original series “Not Fit” – a mocu-drama in association with premium digital video creators, Dice Media on their online destination, TVF Play.